Saturday 19th January 2019 10am-4pm Booking Booking essential. £65 per person (Gift vouchers available on request). Click here to book now.essential. Get set for a fantastic year of writing with this one-day goal setting workshop. 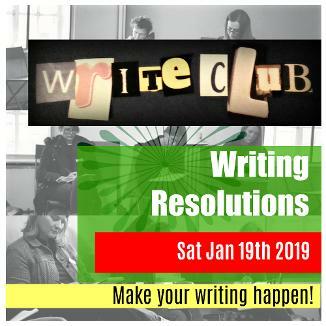 We’ll help you set your writing resolutions for 2019, focusing on what it is you really want to write and why. Ideal for new writers and old-hands alike, this workshop will encourage you to carve out time and space for regular writing. We’ll also get you started on some new ideas with exciting stimulus and prompts. And there’ll be opportunities for your to share your words with a group of supportive, like-minded folk. Make your writing a priority in 2019. Come and set your resolutions! Booking essential. £65 per person (Gift vouchers available on request). Click here to book now.